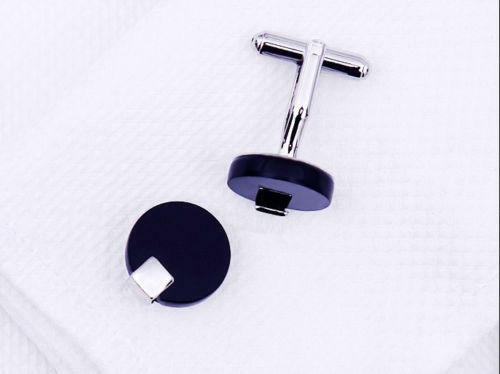 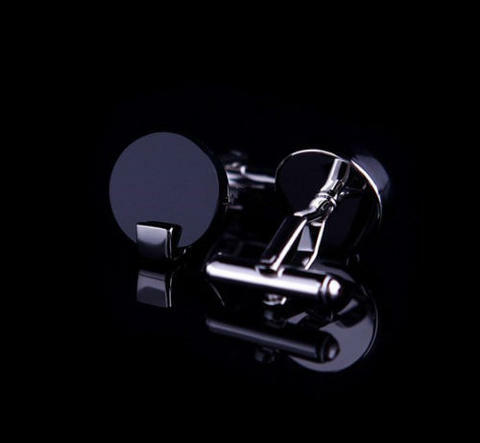 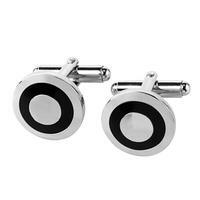 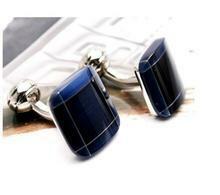 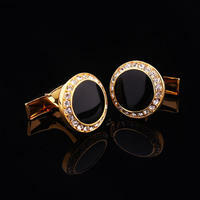 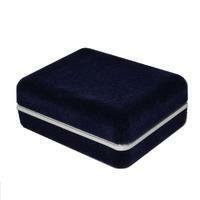 These cufflinks will seduce you with the perfect simplicity. 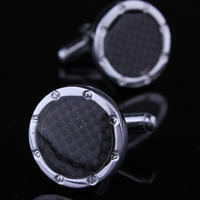 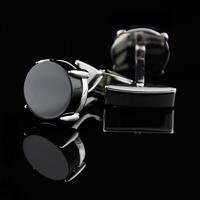 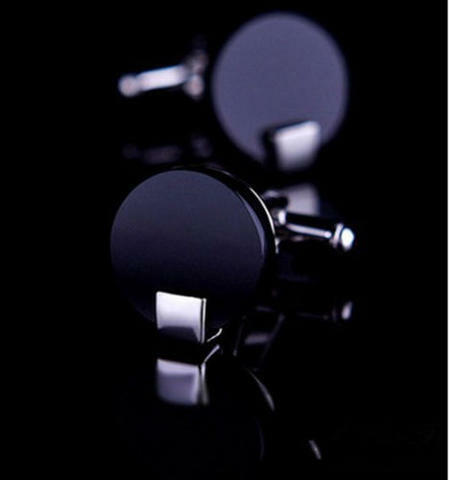 These round shaped cufflinks are all in matte black. 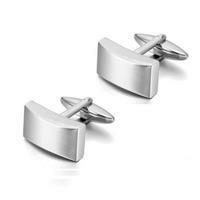 There is a little rectangle in silver situated on bottom.